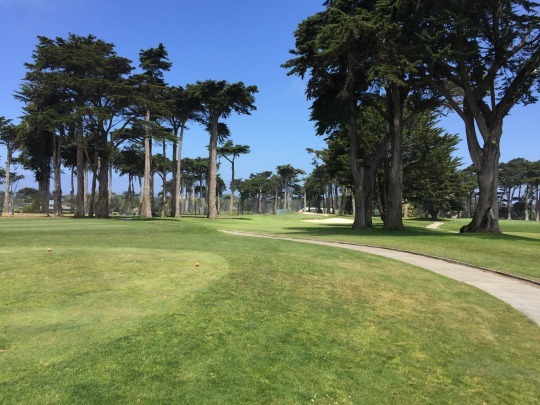 After checking out five courses on Monday, I was back at it again on Tuesday with four rounds. A friend drove up and met me for a few of the rounds. 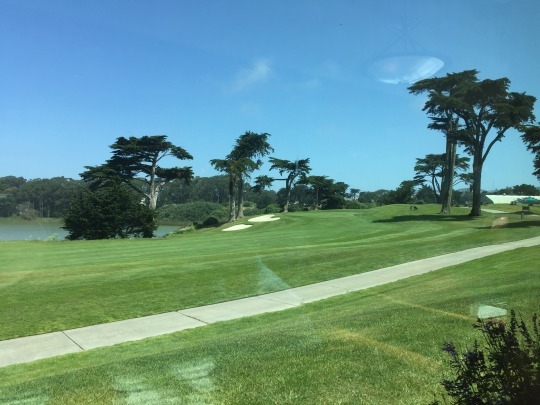 The centerpiece of the trip was an afternoon invite to play the acclaimed California Golf Club of San Francisco (aka Cal Club). I will skip over that review in this story. It will be its special feature story once I get through the rest of the posts. 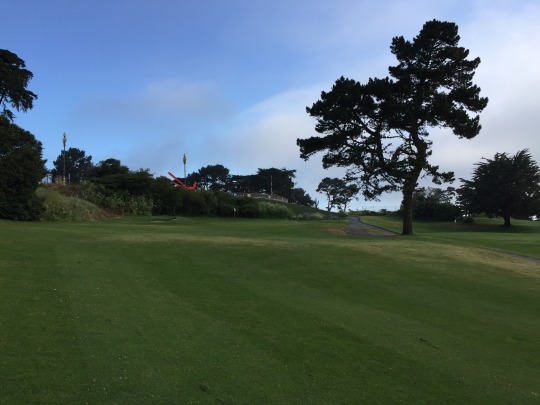 It’s hard to say if this would be considered a “short course.” It is a full 18-hole track, but it only plays to a total par of 68 the it tops out at only 5,146 yards. Normally, I would consider regulation to be par-70 or higher. And though there are plenty of short par-4 holes at Lincoln Park and only one par-5 in the mix, I wouldn’t say it ever feels that much like an executive layout. 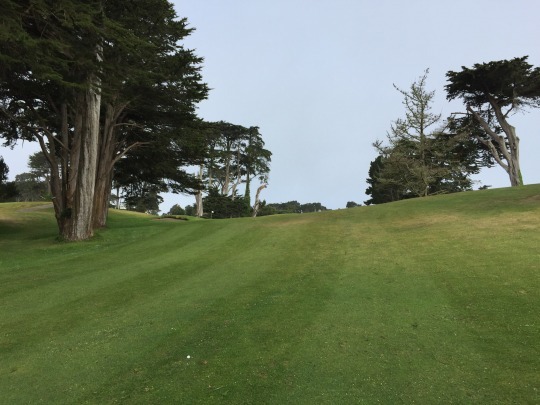 It’s just kind of a quirky old course that just doesn’t quite fit into standard measurements. My friend and I arrived extra early to try and beat the crowd of regulars. It turns out the “crowd” was only 5-6 older guys who really didn’t seem to be in any big rush to tee off ahead of us. We were first in line anyway, and we were teeing off just after they opened around 6:45. We were finished within a couple hours as the lead rabbits. After those guys went off behind us, the course didn’t seem to get too many more players by the time we left. People just don’t seem to care much about this course anymore. It is affordable for residents and the location is extremely convenient at the north end of the city. 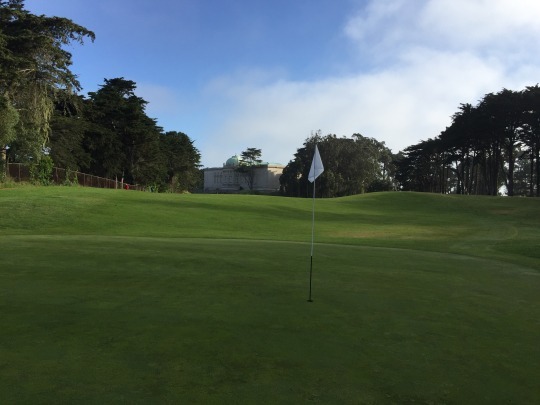 Plus, there aren’t really many public courses in town. Sure, the layout is quirky and way more difficult than you think it will be with such short yardages. I would think it’s one of those courses that is always packed, but I guess it is not. At least it sure wasn’t busy at all on a Tuesday morning. 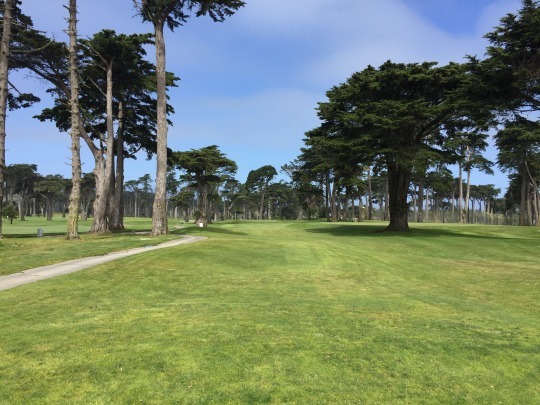 At some other point on my trip, I overheard some locals referring to this course as “Stinkin’ Lincoln.” And, when I told some East Bay people on Monday that I was planning to play here on Tuesday, they almost tried to talk me out of it. I actually don’t understand why people seem to have a disdain for Lincoln because it has plenty of charm for what it is. 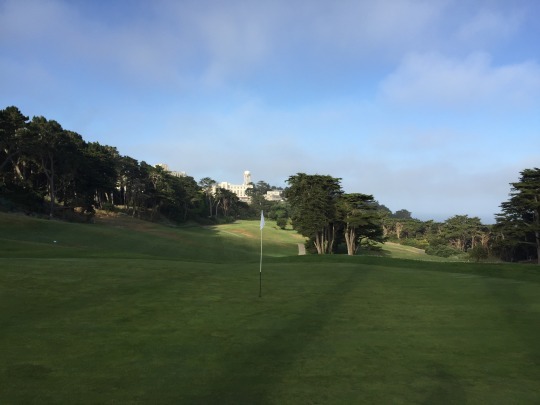 The course dates back to 1902 and definitely has an historic feel. 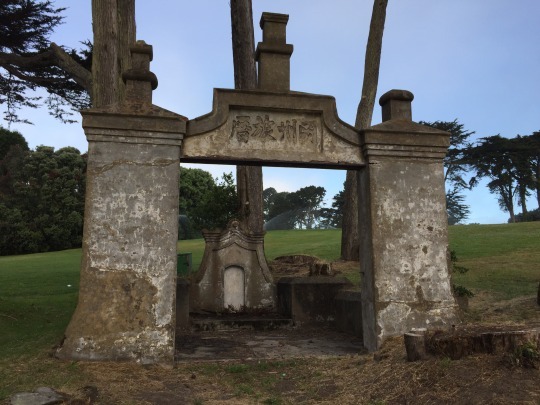 There are some unusual little monuments around the course with Chinese writing. 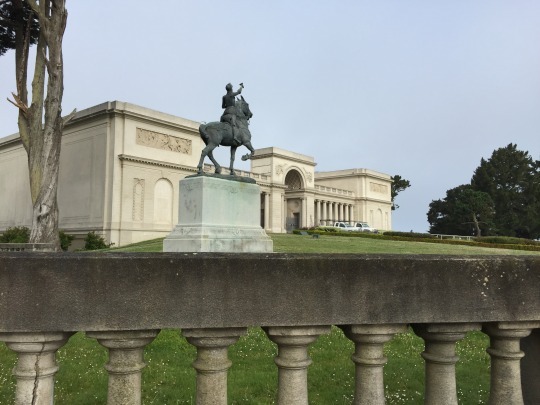 Then, part of the course circles around the Legion of Honor building atop the hill. 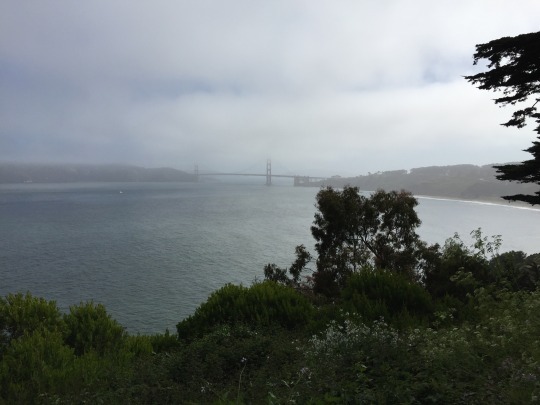 Of course, you also catch a couple of glimpses of the famed Golden Gate Bridge. 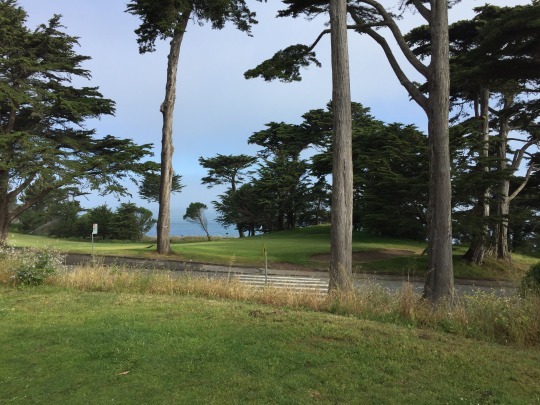 Unfortunately, the best views are pretty well blocked by trees when you are on the course itself, but a quick walk over to adjacent vista points will give you some of the best angles of the Bay Area’s most stunning landmark. It was a bit foggy Tuesday morning, but I still took what pictures I could. 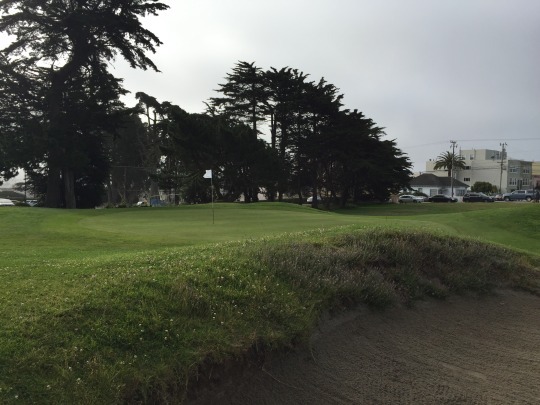 I mentioned the par-68 layout, which consists of 12 par-4s, five par-3s and only one par-5. Half of the par-4s measure under 300 yards from the blue tees and only two of them (the 5th and 18th) top 350. However, it is a very hilly layout and the angles are quite tight. I would argue it plays much longer than you think it will. There are some sharp and tricky doglegs, along with a lot of well-placed trees hanging over into play and forcing some uncomfortable shots. 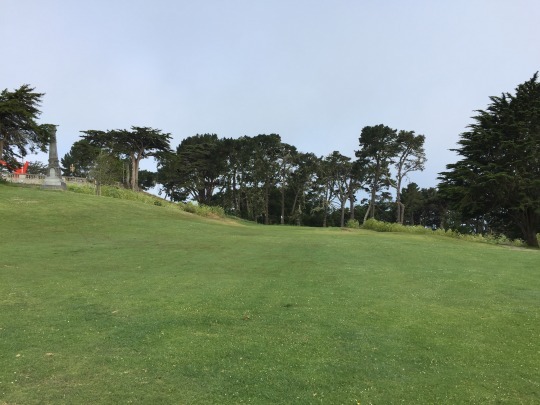 This course definitely does not favor my left-to-right ball flight, and I had trouble getting off the tee safely on many holes. Most people may not even want to bring a driver. As long as you hit straight out to the corners (easier said than done), you can probably pick this place apart. Two holes that help make up for the short length of the par-4s are holes 16 and 17. These back-to-back par-3s are quite beefy at 239 yards and 240 yards respectively. They both do play downhill, but the heavier sea air also factors in. The 16th, however, feels pretty narrow from tee to green, compared to the more open 17th. 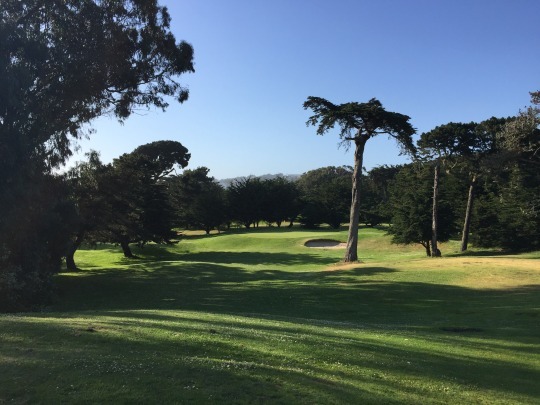 If there is a signature hole at Lincoln Park, it is 17 because it sits closest to the bay and the best vista point of the bridge is a very short walk from the green. The conditions were decent (actually better than I would have expected). It was fairly lush and green here, but there were also some brown areas too. The tee boxes were fine. 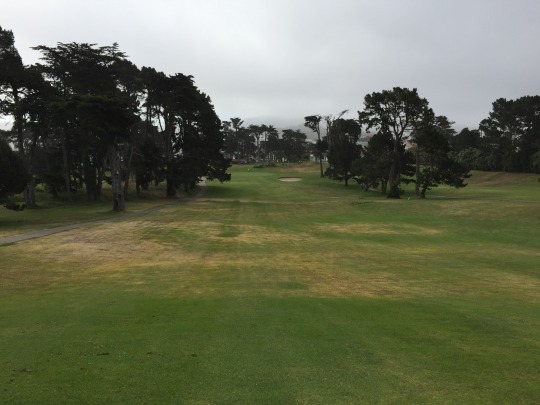 The fairways were mostly good, with some inconsistencies (shaggy spots, weed patches, flowers, bare spots, etc.). The rough was spotty with some very thick areas and some very thin areas, as well. 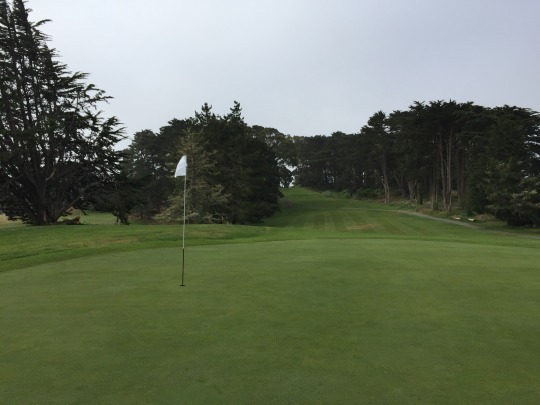 The greens were soft and rolling at medium/slow speeds, with surfaces that were bumpy at times. The bunkers had great soft sand, but were not always that well raked. I had a really bad time in one of them! The layout ate me alive, but I found it to be a fun experience. I absolutely loved the setting and the overall laid-back vibe around the dilapidated pro shop/snack bar area. 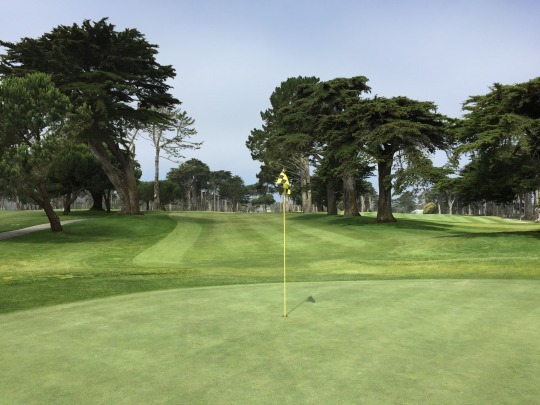 I can understand why a local may not be that captivated by the charm of playing a funky old course so embedded right between the city and the bay. For an out-of-towner, it offers a great San Francisco flavor. 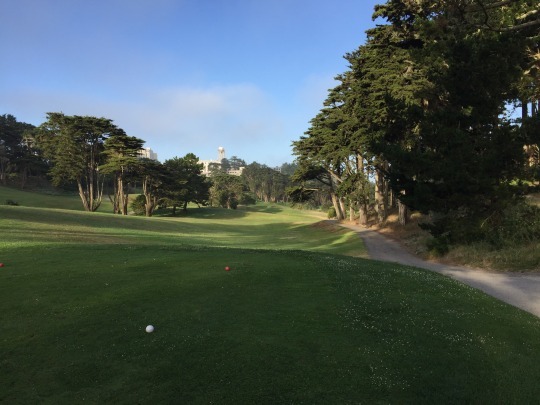 Sure, TPC Harding Park and Presidio are much, much better courses. However, they are also much more expensive to us non-residents. 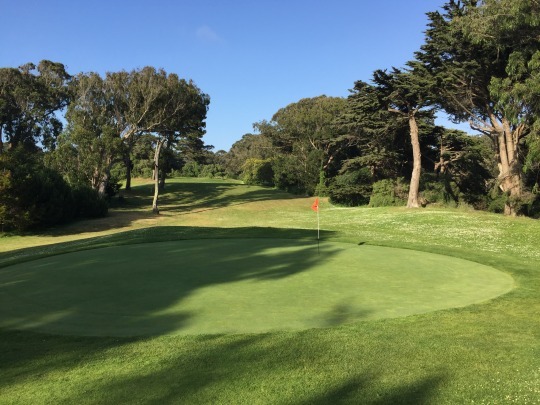 If you are visiting from out of the area and want an affordable, relaxed round of golf on a course that makes you feel connected to this unique city, Lincoln Park is worth considering. 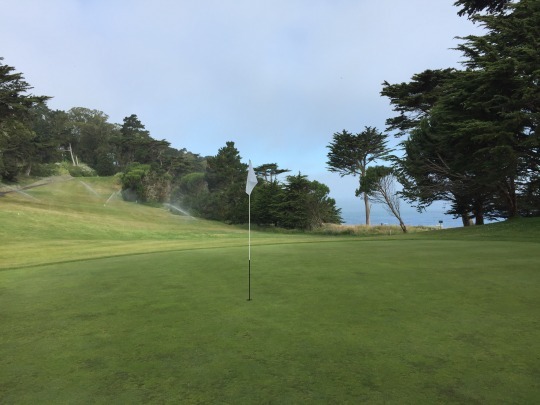 Just embrace its old-fashioned quirks, lower your expectations on conditions and prepare for target golf to the max. 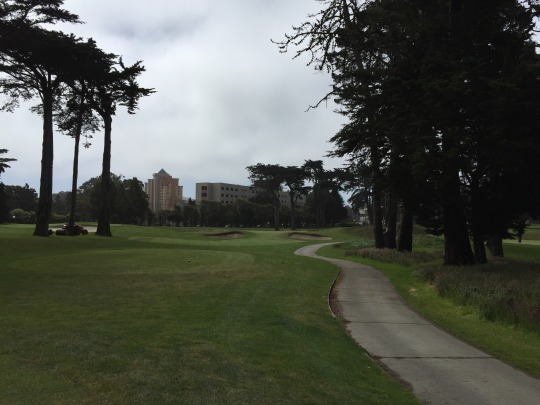 I had the great opportunity to play the championship course at TPC Harding Park several years ago. It was back before I started this blog, so I have never written a proper review of it. 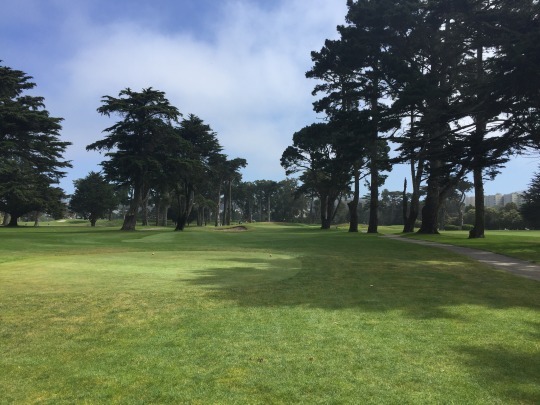 Someday, I need to dredge up a “Flashback Review” to cover it and Presidio, which are clearly the two big public course names in San Francisco. Anyway, we were here this time to tackle the Fleming 9, which is the short course on the property. 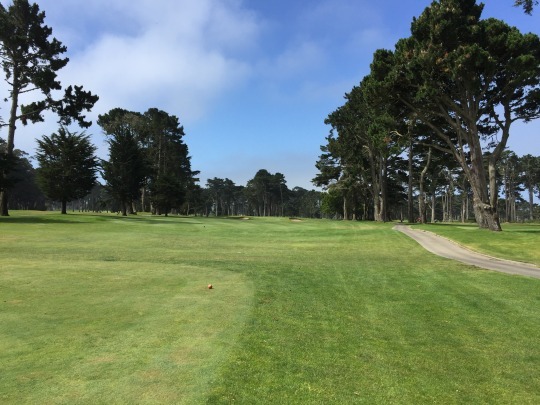 These nine holes are nestled within part of the regular course. 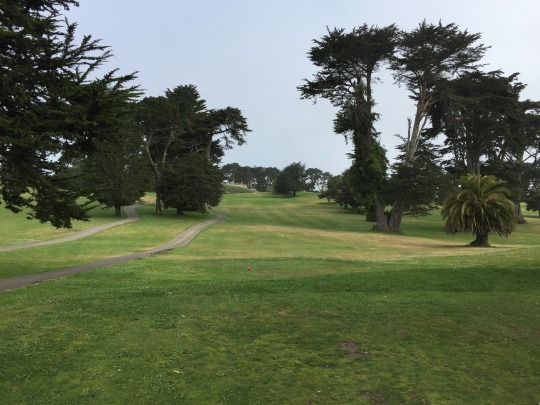 In contrast to Lincoln, Harding Park gets a ton of play every single day. 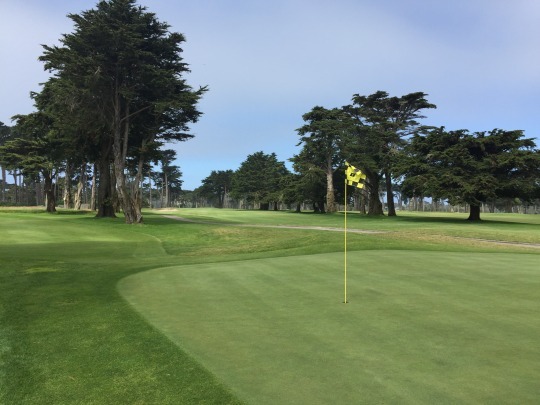 Fleming is almost as popular as its big brother because it’s more affordable and people may prefer to just play a quick nine. 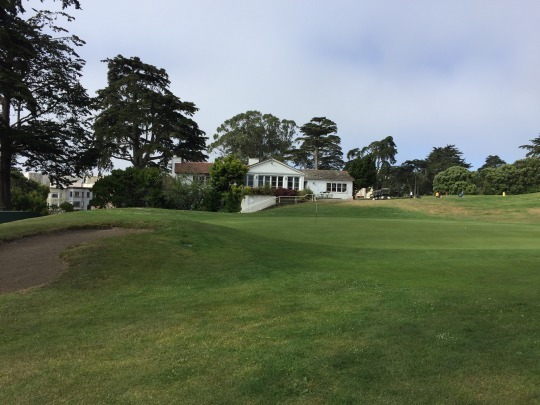 It is also home to the First Tee of San Francisco, so youngsters get a lot out of this course and its fun-size practice facility. In fact, there were a lot of kids out there Tuesday. We eventually got out and around in about 2 hours. The price was $39 with cart. Most people walk this course, but we were looking to play fast and opted to pay extra for the cart. The Fleming 9 is a par-30 executive course. 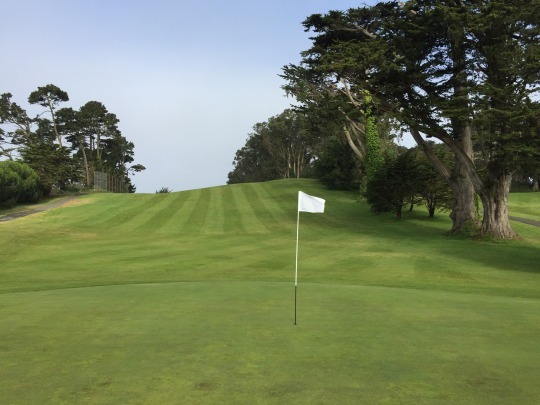 It features three par-4s. One of those is very short and the other two are over 400 yards. Then, the par-3s range from 140 yards up to 235. 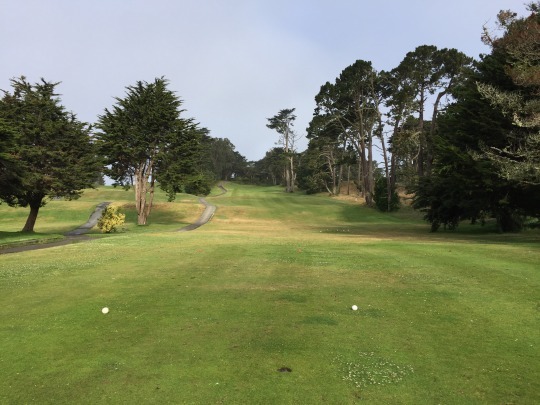 Despite its low total par, this little course offers plenty of length and ample challenge for golfers of all skill levels. It complements the big course well and just feels like a smaller extension of what you get over there. 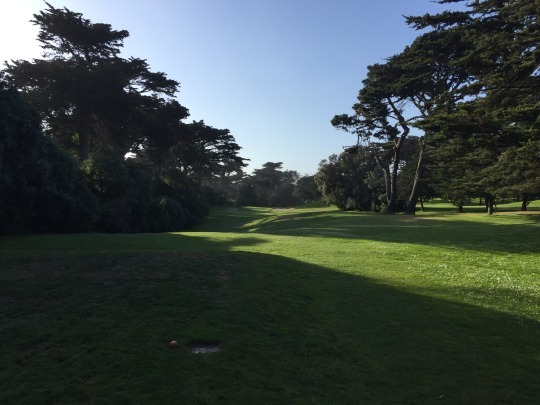 However, there aren’t really any signature holes on Fleming compared to some of the more memorable ones (such as the 18th) on the big boy course. 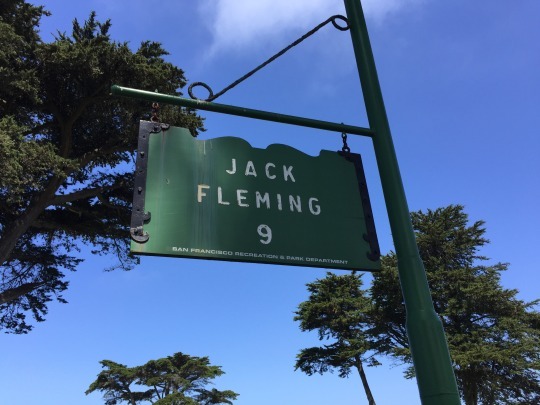 The course is named for Jack Fleming, who apparently was a longtime city golf caretaker in San Francisco. 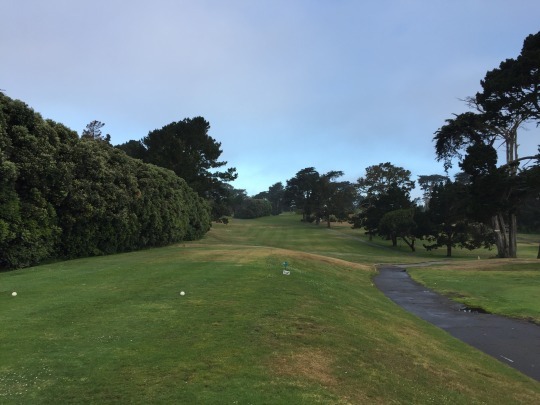 He helped designed the course that was added to the Harding Park property in 1961, and it has been a very popular short course ever since. The conditions were great on the Fleming 9, mirroring what you can expect on the other course. Both looked extremely lush and green on Tuesday, and everything on Fleming played well. No complaints here, as it’s probably one of the best-conditioned short courses I’ve ever visited. 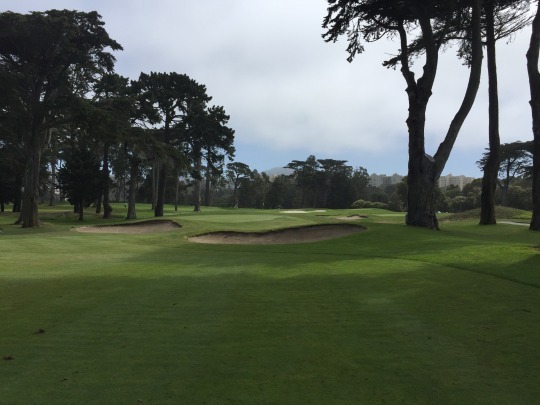 Naturally, the main course at TPC Harding Park is considered a must-play by most. The Fleming 9 is not, but it’s a good warm-up or cool-down option if you are already there. Otherwise, it’s a great place for locals to enjoy a 9-hole round or for First Tee kids to learn the game. 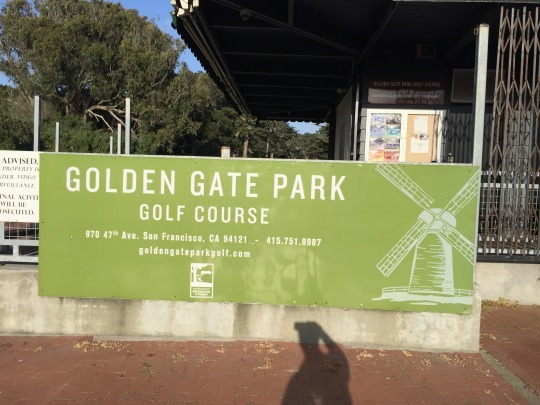 Golden Gate Park is a wonderful part of the city with all sorts of recreational activities to enjoy. 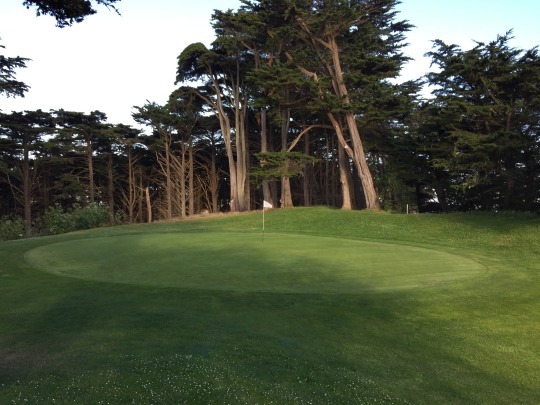 It just so happens they also have a 9-hole par-3 golf course that not a lot of non-residents know about. The locals sure know all about it, though. It was busy when I arrived and a weekly twilight tournament was just finishing up. It was an absolutely gorgeous evening, so I wasn’t surprised to see so many people coming by to play nine holes after work. I had to wait about 15 minutes for a tee time, but ultimately got out around 6:10. The price was $11 and then I paid a few bucks extra to rent a really nice Clicgear pull cart. I was paired with three other guys. The place was packed and we waited around a lot on every tee box. It took almost two hours to finish the round and I was pretty exhausted by the end. Heck, I was exhausted before I even started here! Golden Gate Park turned out to be a much more fun and interesting course than I would have expected. 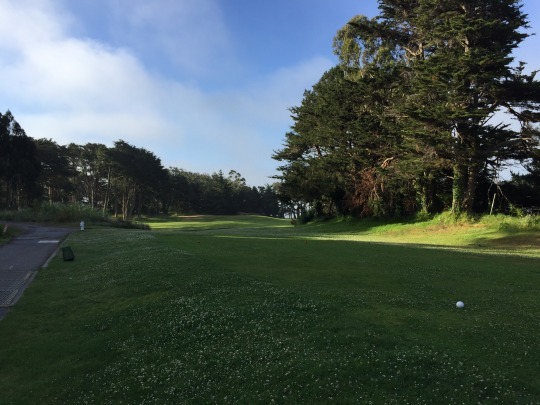 The holes range from 101 yards up to 194, so you get a really good mix. 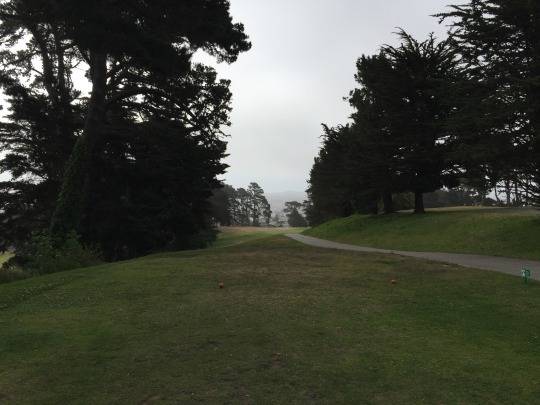 It is also rather hilly (it is San Francisco) and there are plenty of trees. It is a beautiful little spot that feels secluded from the city and the rest of the park. I also appreciated that the course has its own designated parking lot, so it is easy to get in and out of. This course is perfect for what it is. It offers a layout that is well beyond a simple pitch and putt. 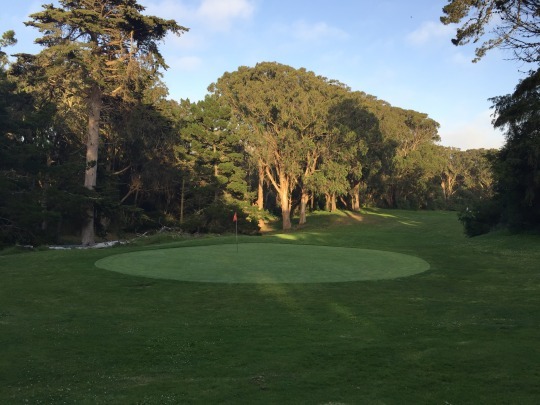 It is a real par-3 course with a fantastic setting and a friendly atmosphere. It attracts local players and I can imagine it is packed most weekday nights. It’s the ideal place to spend an hour or two knocking around the ball with some buddies rather than sitting in rush hour traffic. 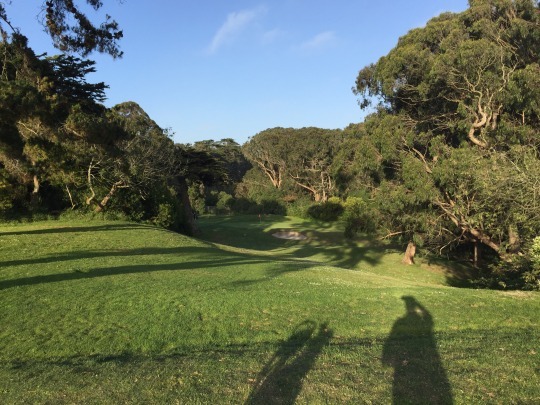 Though I wish my round would have been quicker at the end of a long day of golf, I feel like I got the true Golden Gate Park experience by playing it at this time of day with local players. 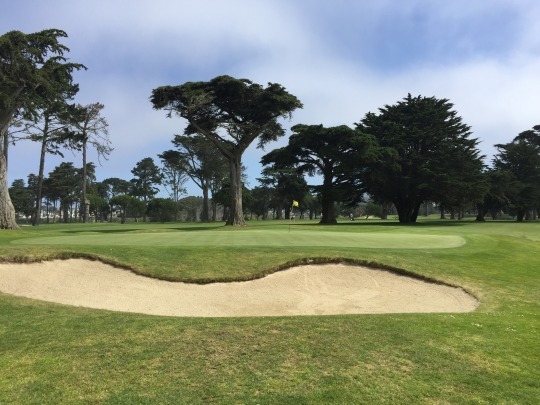 Part 4 will focus on Wednesday’s rounds at Sharp Park, Gleneagles and Poplar Creek, so check back for more soon. Last but not least, I have to give a shout-out to the best meal I had on this trip. Normally, I like to try and explore local eateries when on the road. However, the hectic pace of this particular trip only found me scarfing down fast food meals most of the time. I did have time to grab a better bite to eat Tuesday night. I was staying in Pacifica and I just drove down the street to a shopping center that had a few different restaurant options. I looked at the various places and menus, and settled on a small Mexican place called The Green Enchilada. They specialize in organic Mexican food, which normally wouldn’t excite me too much. It was a really small take-out place without many good places to sit and eat. However, I was starving, everything on the menu sounded really good and I figured I’d try it. I am sure glad I did because I had one of the best burritos of my life. It was made to order and customized with all the ingredients I wanted (chicken, rice, beans, sour cream, tomatillo sauce and cheese). Dang it was good! Though Pacifica is usually out of the way when going through the city, I won’t be surprised if I make a detour out to The Green Enchilada sometime in the future. It was that good and the people working there were super nice.